Hattori Y, Miyata T. Embryonic neocortical microglia express Toll-like receptor 9 and respond to plasmid DNA injected into the ventricle: technical considerations regarding microglial distribution in electroporated brain walls. eNeuro 2018 Nov 16; ENEURO.0312-18.2018. Kawaguchi A. Temporal patterning of neocortical progenitor cells: how do they know the right time? Neuroscience Research 2018 Sep 15. In Press(Available online). Pham TQ, Kawaue T, Hoshi T, Tanaka Y, Miyata T, Sano A. 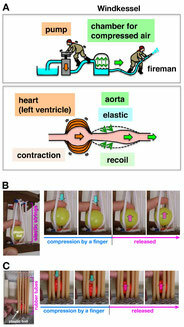 Role of extrinsic mechanical force in the development of the RA-I tactile mechanoreceptor. Sci Rep. 2018 Jul 23;8(1):11085. Yuto Watanabe, Takumi Kawaue, Takaki Miyata. Differentiating cells mechanically limit progenitor cells’ interkinetic nuclear migration to secure apical cytogenesis. Development. June 26 2018, dev.162883. 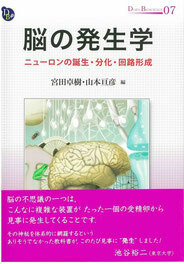 Shinoda T, Nagasaka A, Inoue Y, Higuchi R, Minami Y, Kato K, Suzuki M, Kondo T, Kawaue T, Saito K, Ueno N, Fukazawa Y, Nagayama M, Miura T, Adachi T, Miyata T. Elasticity-based boosting of neuroepithelial nucleokinesis via indirect energy transfer from mother to daughter. PLOS Biol. April 20 2018, 16(4): e2004426. Ohtaka-Maruyama C, Okamoto M, Endo Kentaro, Oshima M, Kaneko N, Yura K, Okado H, Miyata T, Maeda N. Synaptic transmission from subplate neurons controls radial migration of neocortical neurons. Science. Apr 20 2018, 360(6386): 313-317. 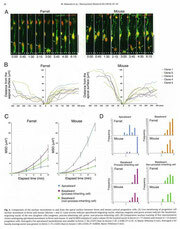 Jinnou H, Sawada M, Kawase K, Kaneko N, Herranz-Pérez V, Miyamoto T, Kawaue T, Miyata T, Tabata Y, Akaike T, García-Verdugo JM, Ajioka I, Saitoh S, Sawamoto K. Radial Glial Fibers Promote Neuronal Migration and Functional Recovery after Neonatal Brain Injury. Cell Stem Cell. Jan 04 2018, 22(1): 128-137.e9. Saito K, Kawasoe R, Sasaki H, Kawaguchi A, Miyata T. Neural Progenitor Cells Undergoing Yap/Tead-Mediated Enhanced Self-Renewal Form Heterotopias More Easily in the Diencephalon than in the Telencephalon. 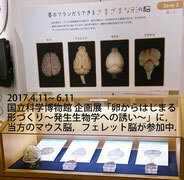 Neurochemical Research. Jan 2018, 43(1): 1-10. Ogura S, Kurata K, Hattori Y, Takase H, Ishiguro-Oonuma T, Hwang Y, Ahn S, Park I, Ikeda W, Kusuhara S, Fukushima Y, Nara H, Sakai H, Fujiwara T, Matsushita J, Ema M, Hirashima M, Minami T, Shibuya M, Takakura N, Kim P, Miyata T, Ogura Y, Uemura A. Sustained inflammation after pericyte depletion induces irreversible blood-retina barrier breakdown. JCI Insight. 2017,2(3):e90905, DOI:10.1172/jci.insight.90905. 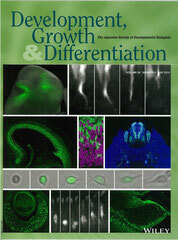 Jin M, Pomp O, Shinoda T, Toba, Torisawa T, Furuta K, Oiwa K, Yasunaga T, Kitagawa D, Matsumura S, Miyata T, Tan TT, Reversade B and Hirotsune S. Katanin p80, NuMA and cytoplasmic dynein cooperate to control microtubule dynamics. Sci Rep. 2017, 7:39902, DOI: 10.1038/srep39902. 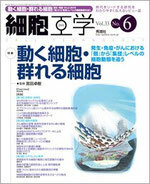 Okamoto, M., Miyata, T., Konno, D., Ueda, H. R., Kasukawa, T., Hashimoto, M., Matsuzaki, F., Kawaguchi, A. Cell-cycle-independent transitions in temporal identity of mammalian neural progenitor cells. Nat Commun. 2016 Apr 20;7:11349. doi:10.1038/ncomms11349. 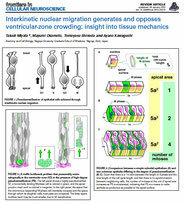 Miyata, T., Okamoto, M., Shinoda, T., Kawaguchi, A. Interkinetic nuclear migration generates and opposes ventricular-zone crowding: insights into tissue mechanics. 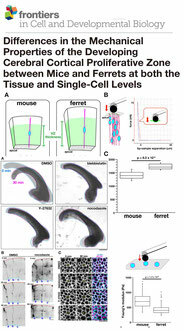 Front Cell Neurosci. 2015 Jan 28;8:473. doi: 10.3389/fncel.2014.00473. Wu, J , Liu, L , Matsuda, T , Zao, Y, Rebane, A , Drobizhev, M , Chang, Y-F , Araki, S , Arai, Y , March, K , Thomas, HE, Sagou, K , Miyata, T, Nagai, T , Li, W-H , and Campbell, RE Improved orange and red Ca2+ indicators and photophysical considerations for optogenetic applications. 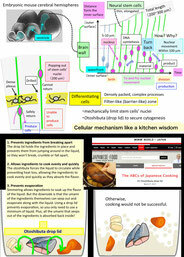 ACS Chem Neurosci. 2013 Jun 19;4(6):963-72. doi: 10.1021/cn400012b. Epub 2013 Mar 19.